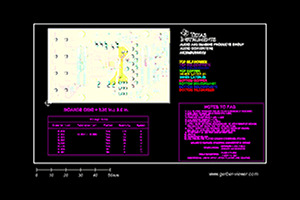 The TIDA-00639 reference design is a non-isolated high-side current and voltage sensing design for a smart combiner box in a grounded or ungrounded system. 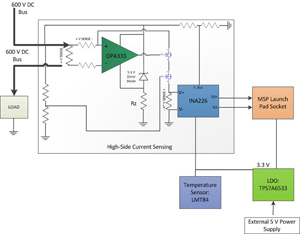 The non-isolated current sensing topology enables accurate power monitoring for high voltage systems. 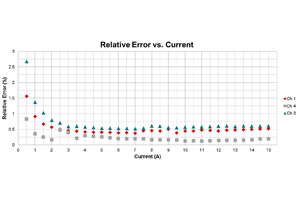 This design is optimized for any voltage between 95 V and 600 V, and with minor component changes this sensing topology can be optimized for any voltage from 40 to 1000V.